What’s This? What’s This? There’s Brickheadz Everywhere! 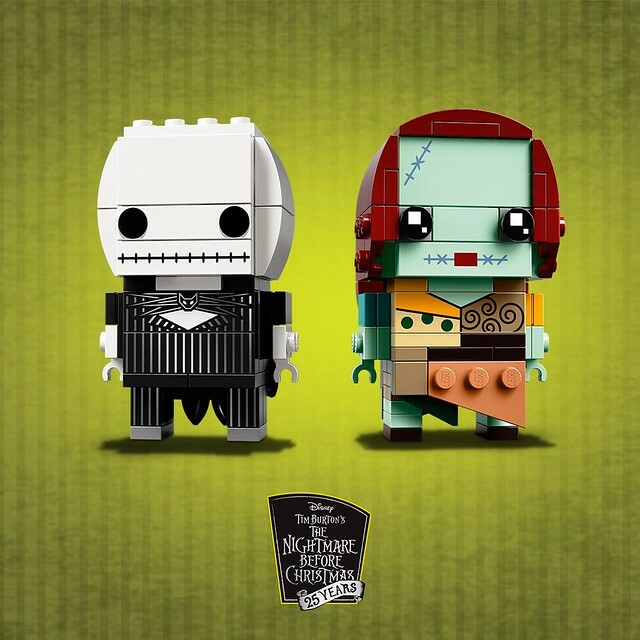 The latest announcement from LEGO’s ever increasing stable of Brickheadz reveals Jack & Sally from Tim Burton’s The Nightmare Before Christmas. This latest wave of Brickheadz is starting to feel like a tsunami. I can’t believe it’s been 25 years since The Nightmare Before Christmas came out and in that time it has amassed a huge cult following. I’m sure these two characters will sell quite well, but I can’t shake the idea that they just don’t work in this form. I really like some of the printed parts and they are cute, but the proportions are too off for them to be a hit with me. Either way, I still think these will be popular and they are due out soon so with the Mr & Mrs Clause Brickheadz coming out this holiday season it will be easy to do a head swap and Christmas up this undead couple.